Welcome to McQuarrie Fibreglass and McQuarrie Fabrications. Looking for expert fibreglass repairs? Would you like to put the finishing touches on your boat using stainless steel? You’ve come to the right place! 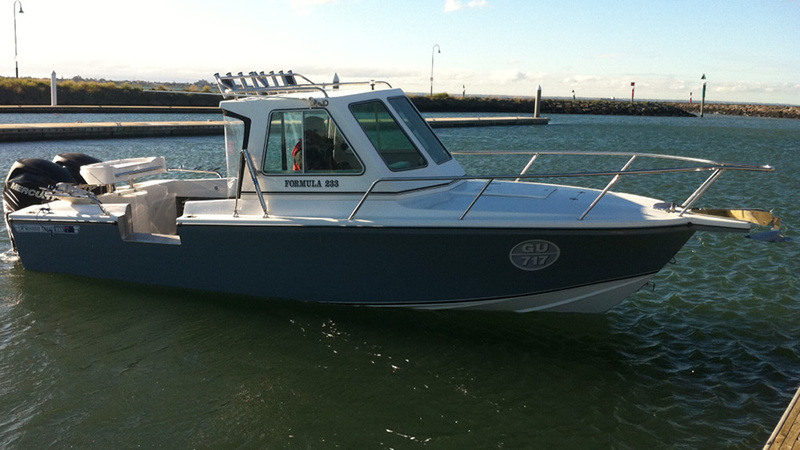 We are a family owned and operated business based in Williamstown, with over 40 years of experience in fibreglass boat repairs and over 15 years of experience in manufacturing custom-made stainless steel boat accessories. Whether it’s a luxury cruiser, a fishing boat, a ski boat or jet-ski…we can accommodate all your fibreglass and stainless steel needs! 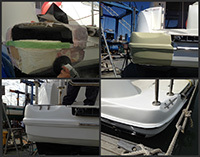 McQuarrie Fibreglass have built a sound reputation for successfully undertaking repairs, modifications and alterations to any size or make of boat. This enables boat owners to keep their existing boat, but with a new configuration, such as flat-back transoms, colour changes, or under floor fuel tanks. We take pride in all of our repair work and welcome our customers input. We can make your boat sparkle and gleam by altering or adding stainless steel bow rails, rocket launchers, and so much more! Our services can help you to increase the practicality of your boat when fishing, water skiing or simply cruising for pleasure. 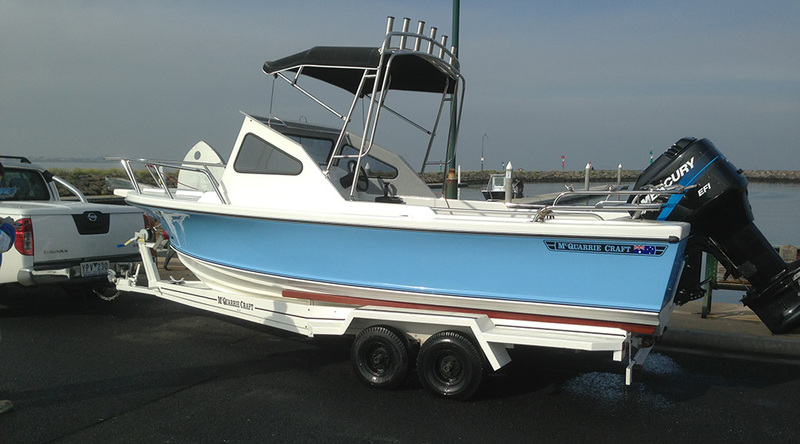 Make your boat versatile and pleasurable for the whole family! McQuarrie Fibreglass and McQuarrie Fabrications understand how important it is to work with you to achieve your desired outcome. We pride ourselves on our customer service and welcome your input and ideas when it comes to creating work for your dream boats. 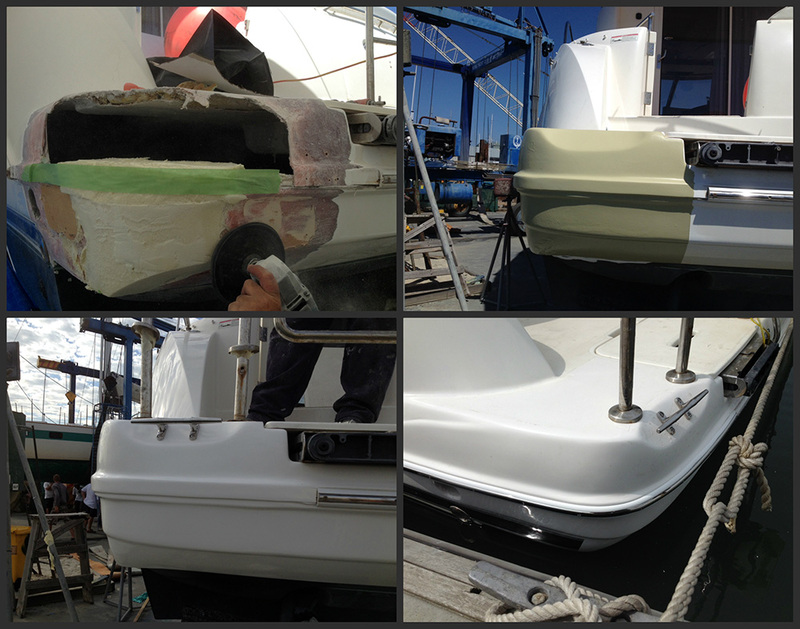 Every boat is different and every job we undertake is custom tailored to your needs. No job is too big or too small for McQuarrie’s! Have a look at our services menu to see the full range of services we provide, or come and see us today for advice and inspiration, and to find out what we can do for you! We have built a sound reputation for successfully undertaking repairs, modifications and alterations to any size and make of boat. This enables boat owners to keep their existing boat, but with a new configuration,(eg transom flat back and cut out seats). We take pride in all our repair work and welcome our customers input. We repair chips, cracks, scratches, stress lines, holes, stringers, floors, and transoms on your boat. Other repair work we do includes jet skis, pipes, water and chemical tanks, and wet areas/showers. McQuarrie Fibreglass can also carry out repairs on-site if necessary! You can rest assured that our fibreglass experts will thoroughly assess the damaged area and will use the appropriate type of resin to repair it, depending on what your job requires. McQuarrie Fabrications are the experts when it comes to boat bling! We specialise in snapper racks, rod holders, rocket launchers, bow rails, grab rails, seats, stone guards, bow spits, tuna tubes, bait boards, wind deflectors, ski poles, ladders, petrol tanks and more. All stainless steel fittings are custom-made and fitted to your boat by our team at McQuarrie Fabrications. This work is typically carried out at our factory, however we can work on-site at a marina, etc, if it is required. Everything is customisable to suit your needs! We use only the highest quality 316 stainless steel when fabricating all our boating products. 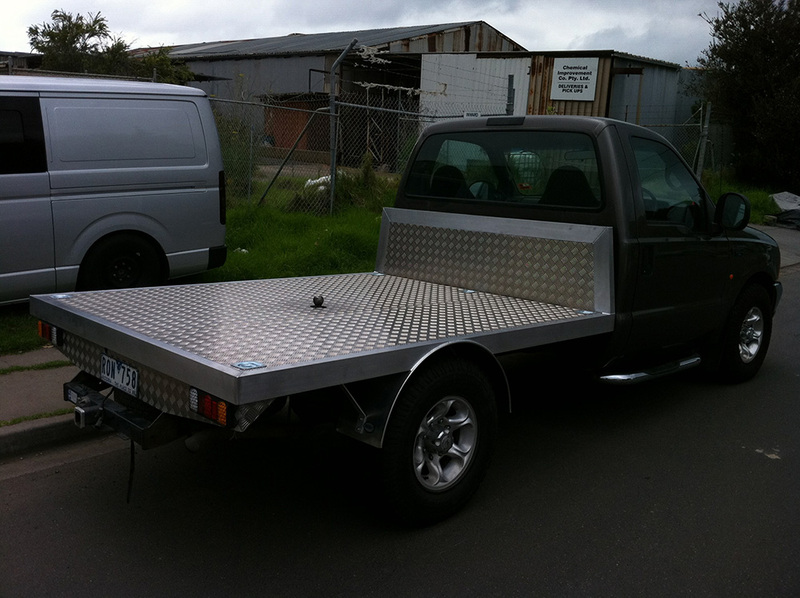 Do you need stainless steel balustrading, kitchens, splash-backs, water tanks, ute trays, bumper bars, roll bars, aluminium welding, trailor modifications, motorbike parts, benches, or stainless steel pipe work? If so, McQuarrie Fabrications can help! Basically, if you have a job that requires any type of stainless steel welding, then McQuarrie Fabrications are the people to see.